There are many accolades for prize winning mathematicians. Winning a famous mathematics prize can bring recognition outside the field of study as well as financial rewards. The Nobel Prize gets its name from a Swedish businessman, Alfred Nobel, who passed away in 1895. At the time of his passing, he was a considerably wealthy man, holding what was one of the biggest personal fortunes then. A declaration in his last will directed that the entirety of his vast wealth, totaling over 31 million Swedish Crowns be the money funding a series of prizes for individuals who had made the most significant contributions for the good of humanity over the preceding year. Alfred’s will also listed the fields in which individuals would receive the prizes. These fields included chemistry, physics, literature, physiology, and peace. Mathematics is conspicuously absent from this list. Can Mathematicians win a Nobel Prize? The absence of a specific mathematics Nobel Prize category has not stopped several great mathematicians from receiving due recognition for their invaluable input to many fields of research or study. In 1950, Bertrand Russell received a Nobel Prize. Russell was both a mathematician and a philosopher. This famous mathematician won the award for his contribution for the good of humankind in the Literature category. Bertrand’s literature sought to defend the rights and the sexual freedom of women in the early 1900s. He was a stern critic who opposed the Reich and Stalinism, the Vietnam invasion by the US, among other issues of the day such as nuclear bombs and racial segregation. His quest for social and economic justice earned him accreditation as an elite philosopher in the twentieth century. His works in mathematics sought to give the science a foundation and demonstrate how logic can be used to deduce all mathematics. The Nobel Prize can also be shared. This sharing was the way to go when the prize was awarded in 1954. Max Born shared a Nobel Prize in Physics along with Walter Bothe. For Max, recognition was due for his groundbreaking research in quantum mechanics. His second area of interest that got him recognized was his insight into the statistical interpretation of wave forms. Mathematics is the basis for calculations in physics. The nature and similarity in the core of these two sciences have seen mathematicians excel in Physics, giving milestone contributions to the science. In yet another case, a famous mathematician received a Nobel Prize despite the absence of a Mathematics category in the award. Walter Bothe was the other of the two individuals awarded the Nobel Prize in Physics in 1954. Born on January 8th, 1891, he won the award ‘for the coincidence method and the discoveries made in addition to that. A brilliant mind in the science, Walter had an eventful life, having been captured and detained by the Russians during the First World War as he served in the military. The Nobel Prize awarded to Bothe was as a result of his application and development of coincidence methods to study nuclear reactions. He was a doctorate holder under the advisory of Max Planck. John Forbes Nash Jr., or just John Nash, was considered by many a mathematical genius. John received a Nobel Prize for his scientific input in our everyday life in 1994. Born on June 13th, 1928, John focused his studies on the Game Theory and the Nash Solution. He was recognized for his contribution in economics, getting a Nobel Prize in Economics awarded in 1969. John’s work aimed to shed light on factors governing chance and decision-making, threat and reaction in our everyday life. This brilliant mind made critical contributions to differential geometry, partial differential equations, and game theory. Clive Granger – full name Sir Clive William John Granger – was a famous British mathematician whose studies focused on non-linear time series. He taught at the University of Nottingham (Britain), and at the University of California (San Diego, US). His award was in 2003, with his Prize Lecture taking place that year on December 8th. His landmark contribution in time series analysis, focusing on related areas including co-integration and applications earned him this prestigious recognition. This famous mathematician excelled in the economic sciences field, and his name is now among other elite minds that have made life-changing contributions to our everyday lives. Sir Clive shared the Nobel Prize Award in the economics with Robert F Engle. His impressive array of books covered subjects like analysis of time series and forecasting, applied statistics, and statistical theory. Clive’s work in the 70s and 80s focused on concepts for understanding variables such as exchange and inflation rates. With the absence of a mathematics category in the Nobel Prize series, mathematicians still managed to bag the award for their contributions in various fields. As we know, many sciences are founded and operate in mathematics. This core science has set up the frameworks for the establishment and development of research for the improvement or our daily lives. 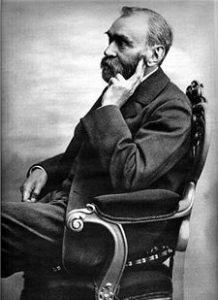 Mathematicians who have earned the Nobel Prize for their significant input in other fields have proven that not only can they thrive in the related sciences, but they can also make contributions so substantial and revolutionary to merit an award in recognition of their excellence in dedication and problem-solving. As a science, mathematics has had so much input and importance to our lives. The contribution of famous mathematicians to today’s world cannot really be quantified. Sometimes you just do not where some mathematics and research might lead. Certainly it is a rare and elite breed, the Nobel Prize Winning Mathematician.